LOCK HAVEN — One lesson the Lock Haven University softball team learned last season is that it doesn’t matter how you start, the important thing is how you finish. One year ago, the Lady Eagles finished an outstanding 38-14 campaign that left them one win short of advancing to the NCAA Super Regional. During PSAC conference play, the Lady Eagles were perfect with a 20-0 mark. With the top two pitchers and six of eight position starters returning, hopes are running high for the Lock Haven University softball team as the 2019 season approaches. Having lost their only two senior starters from last year in Lindsey and Loar, both outfielders, it means that some of the younger players need to step up and fill those holes. 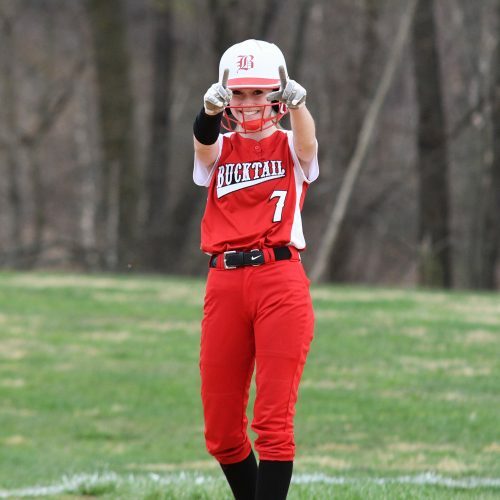 Returning for LHU in the outfield is arguably its most consistent position player in senior Becca Caputo, a former standout at Jersey Shore High School. Caputo finished last year with a batting mark of .317 to go along with fifteen doubles, six home runs and 41 RBI. Joining Caputo in the LHU outfield will most likely be two of the three players who are battling for the spots in freshmen Amanda Criss and Kayla Ruppert along with sophomore Stefanie O’Grady. While the Lady Eagle outfield needs some revamping for the 2019 campaign, the infield is intact with the likes of junior Chloe Kennedy, senior Faith Ceely, senior Traci Kromko, junior Casey Carpenter and senior Bree Hilty (Central Mountain) along with sophomore Rachel Gricoski. Add to those returnees the return of catcher Madison Mathes and it is easy to see why the Lady Eagles are defensively solid up the middle. As far as the pitching staff is concerned, the Lady Eagles feature a double-edge sword in Bekah Slattery (lefty) and Kayla Gee (righty). Slattery, a senior, is a returning all-conference pitcher who finished last season with a 20-7 log. Half of Slattery’s wins were shutouts, while she also recorded four saves when called upon to finish games. Her categorical numbers included 219 strikeouts and fifty walks in 192 1/3 innings of work. 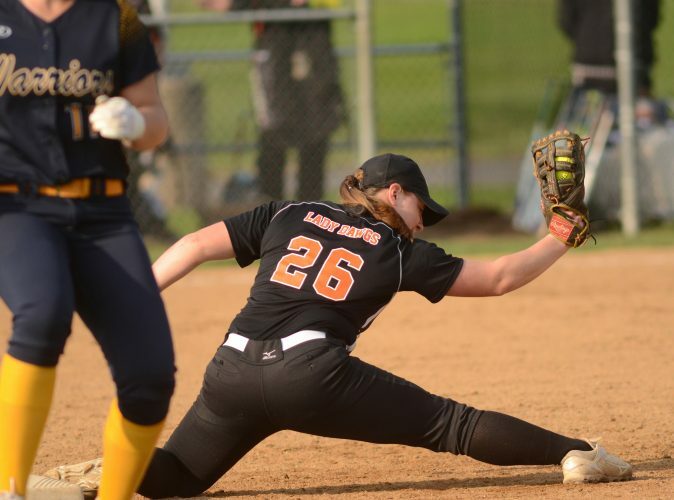 For her work during the season, Slattery was named an All-Region pitcher. As for Gee (Loyalsock), she seemed to get stronger as the year progressed, finishing with a 16-5 log. Seven of her 16 wins were shutouts as she posted individual numbers of 109 strikeouts and 49 walks in 133 1/3 innings of work. Although Slattery and Gee both bring their individual things to the LHU game, Slattery is the veteran and has been through the ropes before, not only as an outstanding pitcher, but as a leader. The Lady Eagles are coming off a very successful (38-14) campaign in 2018 that saw them capture the top rung in the PSAC Central Division before advancing to the Atlantic 1 Regional championship where a 4-0 loss to West Chester left them one win from advancing to the NCAA Big Dance. Helping Shannon guide the Lady Eagles to what will hopefully be a successful season is assistant Danielle Fraser along with Lindsey, now a volunteer coach for the LHU program.